Firefighter Shirts, Fireman Sweatshirts, Gifts for Firefighters & More Firefighter Stuff from TshirtHub.com! 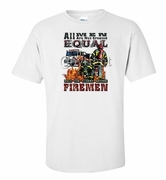 Firemen are called "the boldest" for a good reason. It's because of their tenacity and fearlessness when approaching a situation. A fireman's commitment to his occupation is unparalleled. 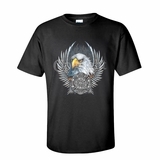 We've stocked a variety of firefighter shirts and gifts for you to choose from to buy for yourself or as a gift. Wear your fireman t-shirt to fundraisers, schools, community events, and when you're out and about on the town. Our firemen shirts and firefighter stuff are either funny, official, or traditional as far as the design. 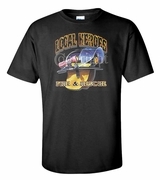 These are also great tees to wear if you are a fire fighting parent who attends little league games. 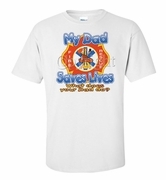 Your kids will be proud to show you off as their bold, fearless fireman dad or mom. 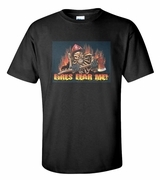 If you're in charge of your local fireman union's community activities, keep us on speed-type�bookmark TShirtHub.com ASAP. We will be able to help you design custom tees and gifts for firefighters to give out to your union members at your next fundraising event. You'll always find the highest quality Firemen Main Page when you shop at TShirtHub.com.